Soviet authorities loading Chechens and Ingush onto trains for deportation, likely taken in February 1944. Source: Wikipedia. Fair use. In February-March 1944, fires burned in Grozny and other settlements of the former Chechen-Ingush autonomous republic — fires made of books printed in Chechen and Ingush. The readers of these books — some 500,000 Chechens and Ingush people — were deported to Central Asia as part of Soviet security forces’ so-called “Operation Lentil”, which began before dawn on 23 February. 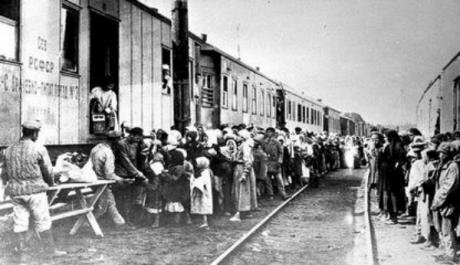 Over several days, thousands of people were crammed into livestock carriages and transported thousands of kilometres by rail to the Soviet East. Chechen and Ingush children did not learn their native languages in exile in Kazakhstan and other parts of Central Asia. They went to Kazakh- and Russian-language schools. Between 1944 and 1955, there were no books, newspapers, magazines nor radio shows published in Chechen and Ingush. No national cultural institution existed, and limits were placed on the number of places available in higher education. These were part of the conditions of the so-called “special settlement”, the forced resettlement of peoples under Soviet rule. In exile, the struggle for the right to education required particular courage. In January 2000, some time after the start of Russia’s Second Chechen War, the body of an executed man was found in the basement of a half-destroyed building in Grozny, the capital of Chechnya. In the man’s pocket, a passport was found in the name of Akhmed Magomedovich Tsebiyev, born 1935. One of the building’s residents recognised the man. He explained that, since Russian forces had begun the storm of Grozny in late 1999, Tsebiyev had moved some of his belongings from his apartment to the basement, and had been living in it. The witness pointed out that some items were missing — Tsebiyev’s computer had been removed from the basement. 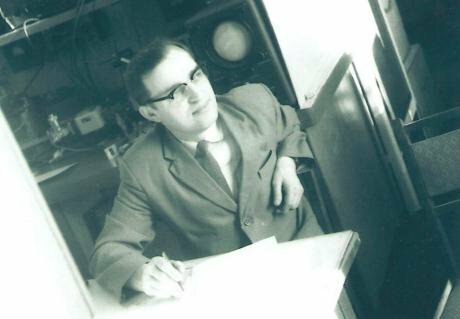 Tsebiyev, born in the Chechen village of Makhkety, had worked as a physicist: he was a candidate of technical sciences, the co-author of a scientific discovery, and the inventor of more than 23 radio-electronic devices and author of more than 50 articles. Indeed, he was a member of a group of Soviet scientists that received a prestigious Lenin Prize in 1997 for their work — though he himself was not included in the final list. Tsebiyev’s son Ruslan was a journalist — he died in Grozny in March 1995. Several years later, a head of faculty at Chechnya’s State Pedagogical University, Ayndi Yakubova, published two books on Tsebiyev’s life and work, and his name was given to a school in Grozny. In search of new documents, Yakubov made requests to state archives in Kazakhstan, and received copies of documents from Tsebiyev’s personal file during his time as a “special settler”.
. 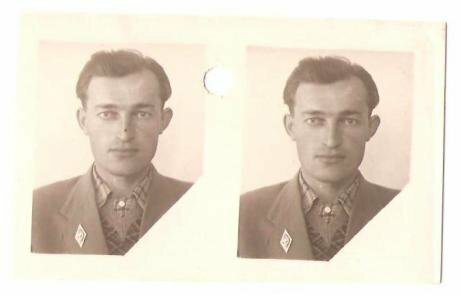 The following documents testify to the desperate fight of a 17-year-old boy — who had lost his rights as a Soviet citizen under “special settlement” — for the opportunity to receive an education. “I, Akhmed Tsebiyev, was born in 1935, and I am a special settler deported from the Caucasus in February 1944 to Jambyl region, Kazakhstan. 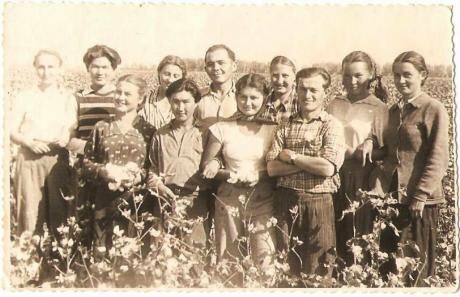 Before we were deported, my parents, who come from a poor peasant family, had worked in a kolkhoz [a collective farm], and I was studying in a local (Chechen) school. After all of the above, the question arises: what did we do wrong, what crime have we committed? Perhaps, one of the residents of Shu has done something, and we’re having to answer for it… If I or my parents have done anything, then we are ready to accept any punishment. But if this isn’t the case, then why should we suffer for someone else, lose our jobs, schools, shelter — in a word, lose everything that is necessary in life?! Two stamps on the letter show that it was received by the Presidium of the Supreme Soviet, and the Ninth Department of the Ministry for State Security. This letter was a cry of desperation. Before this, Akhmed had written to every local institution for three weeks. Tsebiyev wrote his first letter on 16 May to the head of the Shu branch of the Interior Ministry.
. Two days later, Tsebiyev wrote to the regional branch of state security with a request to “transfer [me] together with my parents to Chulak-Tau as soon as possible”. They refused. In July 1952, Tsebiyev sent a 12-page letter to the Soviet Council of Ministers, in which he describes how his family was deported for the second time. He talks about how this came at a “stressful moment of preparing for my exams”, insists that he not be “deprived of the opportunity for further study, not torn away from Soviet culture and education”. Apparently, Tsebiyev had been told by several official representatives that his applications had been received, and that his family would be sent to a settlement with a full ten-year school. Yet, when Tsebiyev’s family got to Assar, where some families were sent to Sary-Su and others to Talas, they were sent to Sary-Su — which did not have a school.
. Despite orders from state security to send the Tsebiyev family on to Talas after Sary-Su, they were sent to Sary-Su — with officials refusing to deal with them, and even mocking them en route. The Tsebiyevs were sent to work at a kolkhoz, after a state security representative told him they had been sold to a collective farm. The insistence with which the 17-year-old Tsebiyev defended his right to education and reasonable standards of living, it seems, irritated local state security officers. They continued to put pressure on him. State security officers tried to accuse Tsebiyev of “parasitism”, and sent him for diagnosis at a hospital — apparently, with the idea that symptoms of a disease “suitable” for uncompromising citizens would be found.
. After an incident in which state security officers demanded Tsebiyev’s father bring him in for questioning (and his father forgot to pass the message on), Tsebiyev was subject to administrative arrest for five days in August 1952. In September 1952, the regional state security office gave permission for Tsebiyev, together with family, to move to Chulak-Tau on a permanent basis. Some last-minute resistance from the kolkhoz administration, however, meant that his parents and sister had to stay behind at the kolkhoz. 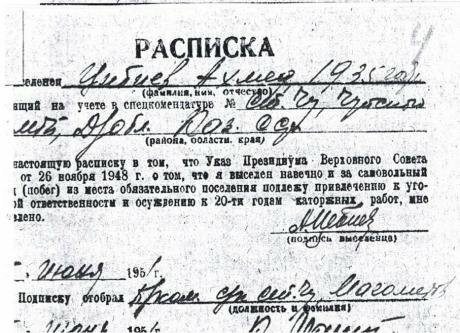 In 1953, a copy of Tsebiyev’s school graduation certificate was added to his personal file, and in 1954, another document added, which updated the Tsebiyev’s information on the “special settlers” register — evidence that Tsebiyev was still in state security’s sights. 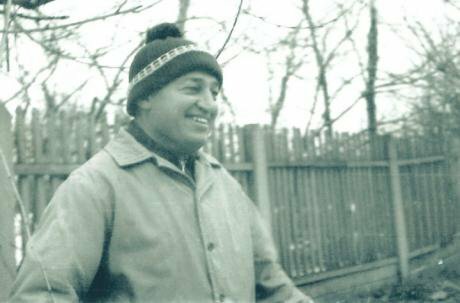 Tsebiyev finished middle school with a silver medal in 1953, and left for Alma-Ata to continue his education, where he had been registered as a student at a medical institute before transferring to Kazakh State University’s physics and mathematics faculty.
. When the Chechen-Ingush Autonomous Soviet Socialist Republic was restored in 1957, the Tsebiyev family returned home. Akhmed transferred to Rostov State University and, on graduating, was sent to a Soviet research factory in Fryazino, outside of Moscow, where he made his career as a scientist. He returned to Grozny in 1983. This education gap is plain to see in Chechnya itself. Thus, in 1959, for every 1,000 people over the age of 10 in Chechnya, there was only one person with higher education — when the average for most republics was 21. The deprivation of Chechens and Ingush of the right to education had a long-term effect. The 1989 Soviet census confirmed this significant education gap in Chechnya: if for every 1,000 people over the age of 15 of other nationalities in the Soviet Union there were 113 people with higher education, for Chechens, it was only 45. Russian society tries not remember the Chechen deportation and its consequences. But Chechens and Ingush cannot forget about it, and are looking to finds way of overcoming this tragedy.